Vaccination remains the cornerstone of our preventative care policy. DO NOT be put off by those ill-formed people who say regular booster vaccination is either unnecessary or unsafe. They are wrong!. We regularly see heartbreaking stories where someone as found out the hardest way of all that this is not the case. At Vale Vets, inclusive in the price of a vaccination appointment is a full health assessment with a vet. We have lost count of the number of life-threatening conditions that have been picked up at a vaccination appointment and treated more simply, successfully and cheaply had there been a delay until more obvious signs were apparent. Vaccination is a safe, reliable and cost effective way of giving your dog he best chance of living a long and healthy life. Cats are vaccinated against Feline viral infectious disease (Catflu) a virus that cause severe flu like symptoms, Feline Leukaemia virus – a cancer inducing disease of cats and against the Panleukopaenia virus (Enteritis), a fatal gastroenteritis. Initial kitten vaccines are given at 9 and 12 weeks of age. At the appointment a kitten pack is also given which has lots of information on kitten and cat care as well as a free sample of Hills Science Plan food. Additional information can always be found on our Kitten Care page and the Lifelearn section of our website. After the initial course annual booster injections are given to ensure full disease protection. 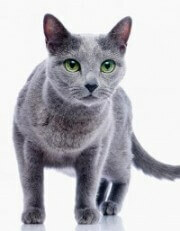 A full clinical health examination is also performed as well as a discussion on routine care of your cat. Initial vaccines are done at 8 and 10 weeks of age. The injection protects against Distemper, Canine infectious Hepatitis, Parvo Virus, Leptospirosis and Parainfluenza virus. Fortunately most of these diseased are now relatively rare due to effective vaccination compliance. We don’t want to give vaccines unnecessarily so we taylor vaccination courses according to your pet’s age, lifestyle and certain other risk factors. At the initial course a puppy pack is provided with lots of information on puppy care as well as a free sample of Hills Science plan food. 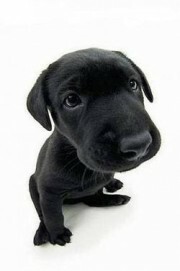 Additional information can always been found via our Puppy Care page and the Lifelearn section of our website. A vaccine for Kennel Cough is also recommended in high risk situations such as those experienced when taking your dog to kennels, mixing with lots other other dogs or has a dog walker. This vaccine can be done from 8 weeks and is given annually with the booster. If you would like to travel abroad with your pet they will need a Rabies vaccination. Click here for all the latest pet travel/Passport requirements. 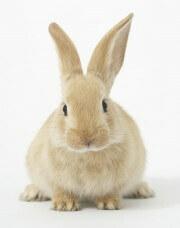 We advise vaccinating against Myxomatosis and Viral Haemorrhage Disease (VHD). A more convenient combined vaccine has been developed for use. The injection are done from 12 weeks of age. In addition to the vaccination we recommend a thorough annual examination for all rabbits as they are prone to suffer from many avoidable conditions such as bad teeth and gum problems.